After a few weeks of training we have now established a full squad and were ready to play our very first practice game against Moreland United. 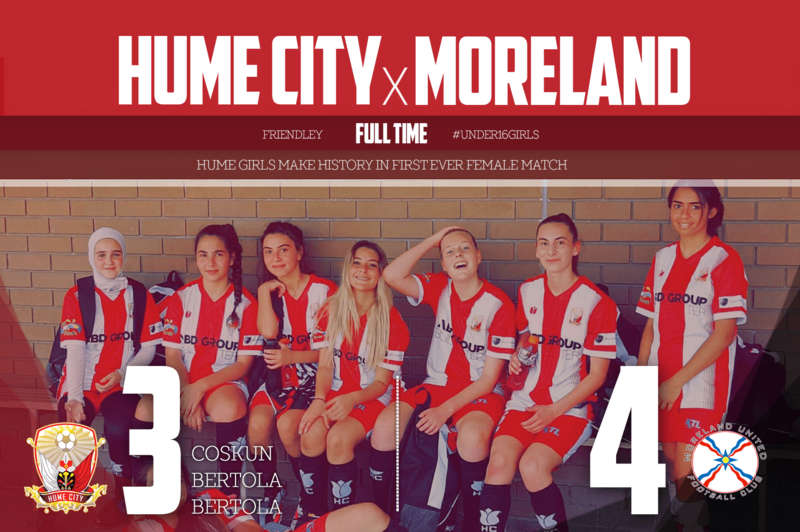 So add it to the history books , On Sunday 6 March 2016 Hume City’s very first girls team played their first game away against a Moreland United in the peak of the Melbourne heat. The message was simple from Coach Bee from the very start, try your best, achieve the key points we have been learning at training, stay positive and believe in yourselves and your teammates. Our girls were extremely nervous and still finding their feet as a team and as players. The girls tried their hardest however the senior team of Moreland United scored 4 goals in the first half (with the final 5th goal being disallowed due to offside). At half time the lineup and structure was changed and with all the players re-energized wanting to go out and prove to everyone that we have heart and wanted to score Goals. Dilara Coskun goes on record as our first goal scorer for Hume City Girls, scoring at the beginning of the second half. This gave the girls the boost they needed to go out there and fight back. Mia Bertola scored two more cracking goals thereafter. Making the scores an intense 4-3. 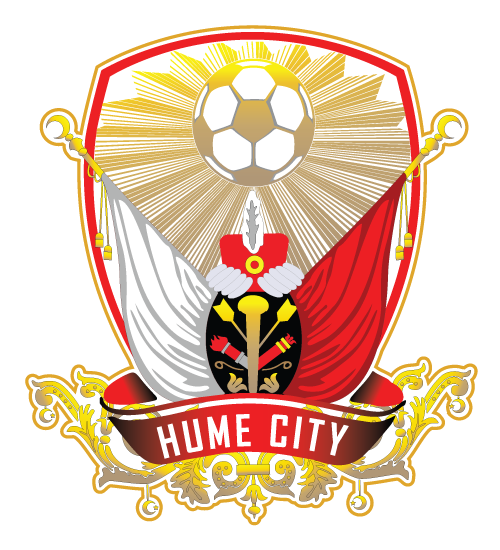 Hume City had possession for the remainder of the game however we were unable to convert goals due to some great saves from the opposition keeper and defense. Even the crossbar came to Moreland’s rescue when Veronica Silva fired against the woodwork. Final score was Moreland United 4 – Hume City 3. The final message to the girls was that they achieved what they set out to do in the second half, and not only scored some goals, but kept the opposition from scoring as well. Well done girls – They have a lot of work to do at training but we know that the Club and Coaches are so proud of their all their performance yesterday.